Today, I visited Takayu Onsen which was located in the middle height of Azuma Mountain Range and within the area of Fukushima City. 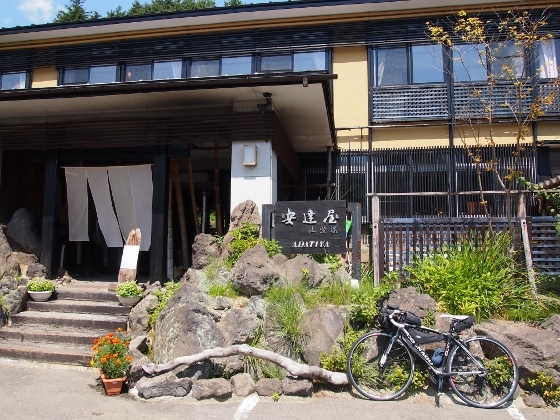 It was one of the best quality hot springs in Fukushima Pref. which contained sulfur. 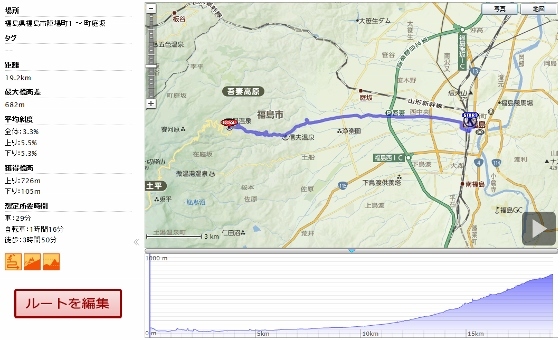 As shown in the GPS log data below, total distance being less than 20km, 685m hill climb was very much hard for me. 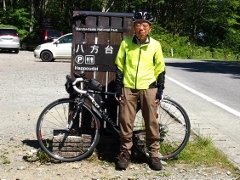 I repeated pedaling and rest　for the last 4km. I met two young cyclists descending. 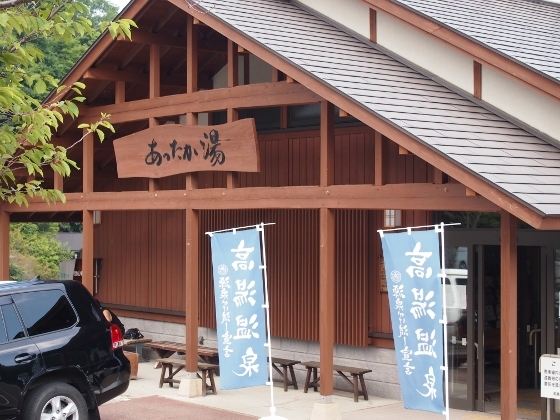 Two pictures show Fukushima City owned public hot spring and public footbath adjacent each other. Both have characteristic of white and blue color with hot temperature. 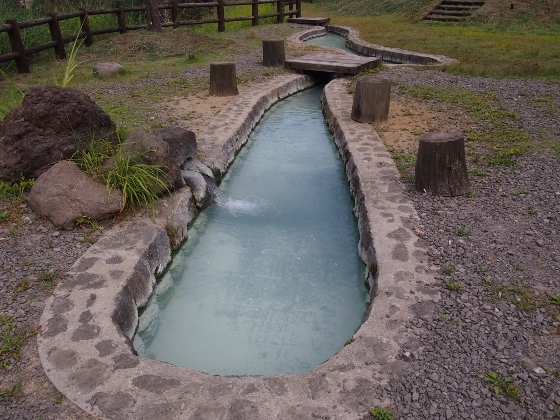 My exhausted body due to the hill climb was completely refreshed once bathed in this hot spring. Tonight, I stayed at Adachiya Inn just across the above shown public bath. This was the third time here. They kindly accepted my bike to be placed overnight under the roof just besides the entrance.